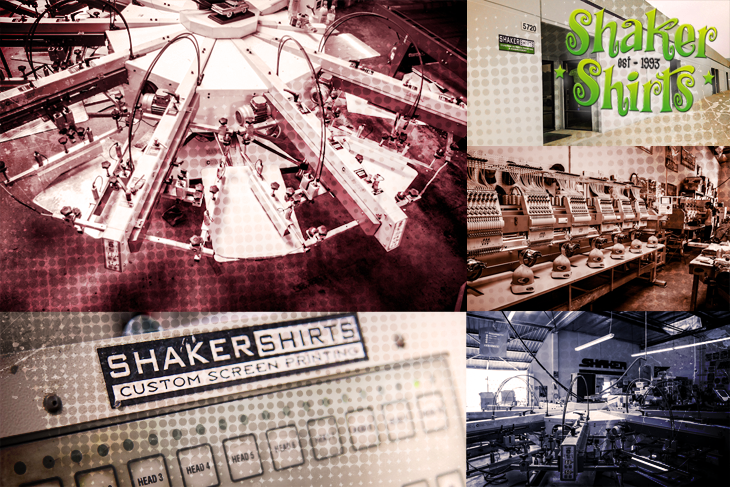 Complete your next bulk or wholesale screen printing venture with Shaker Shirts! We are a local Los Angeles screen printing facility staffed and equipped to meet the needs of screen printing brokers, businesses and those in the industry. We fulfill all large wholesale orders on-site in Irwindale, CA. Our experienced staff has a successful history of meeting production deadlines on high volume orders for the wholesale screen printing market. We offer bulk order pricing and discounts that help brokers and businesses stay competitive in today’s marketplace. Our screen printing clients include the City of Los Angeles, major brands across Southern California and some of the biggest names in the auto racing industry. In addition to screen printing, we also offer full embroidery services for hats, t-shirts, polos, sweatshirts and bags. Special requests, individual packaging and drop shipping are available upon request. Contact us now to quote your next screen printing or embroidery venture. Find out why Shaker Shirts is the choice of brokers and business in the industry, give us a call or complete this request form. We are a Pasadena and Los Angeles Screen Printing & Embroidery company producing top-quality t-shirts & apparel in Southern CA. for more than 20 years. 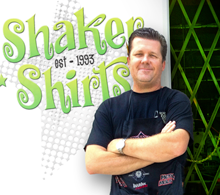 Since 1993, Shaker Shirts has been providing quality custom screen printing & embroidery in Los Angeles, Pasadena and surrounding cities of Arcadia & Monrovia. We have served the most prominent schools, corporations, sports leagues, wholesale screen printing brokers and non-profit organizations throughout LA with outstanding silk screened and embroidered t-shirts, hats, polos, hoodies and team uniforms all from our full-service screen printing production facility near Baldwin Park, CA. John Minogue, is a screen printing and embroidery specialist serving Los Angeles and Pasadena area businesses, brokers, schools, institutions and sports leagues with his mastery of the craft and a detailed artistic eye. His diverse client list includes some of the biggest brands in the auto racing industry, hundreds of esteemed LA public, private and non-profit enterprises including the City of Los Angeles, as well as many Southern California youth sports leagues.